Today, and for the next three days, a landmark appeal takes place. The UK’s most senior judges are in the Supreme Court, deciding whether Parliament or the government has the authority to trigger Brexit via Article 50. If you’d like to read along (or search for a specific term), you can now do so on this site, quickly put together by mySociety senior developer Matthew, today. For apparently this is what he likes to do in his free time. That was enough to send Matthew scurrying to see whether the scrapers we’d put in place for the Leveson Inquiry would also work in this instance. In large part they did, although there is still a small bit of polishing up of the final product to do. Meanwhile, sit back and enjoy the show. That is, as the Guardian puts it, if you have an appetite for “intricate legal argument, arcane vocabulary and historical precedents”. Well, come on, who doesn’t? We’re always quick to shout about it when we’ve added a major new feature to one of our projects, or we’re launching a whole new website. All well and good, but mySociety’s developers don’t just roll out the big stuff. Smaller releases are happening all the time, and, as a bunch of them have all come at once, we’ve put together a round-up. Oh – and it’s worth saying that your feedback helps us prioritise what we work on. If you’re using any of our software, either as an implementer or a front-end user, and there’s something you think could be better, we hope you’ll drop us a line. We’ve just released version 1.2 of our postcodes-to-boundaries software. 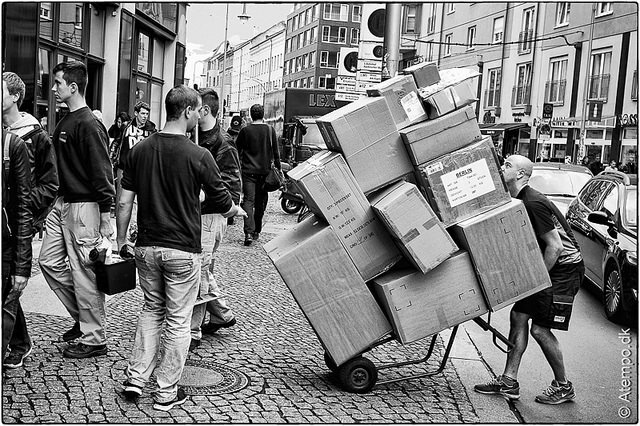 The new version adds Django 1.7 and Python 3 support, as well as other minor improvements. For the UK, this version now includes October 2014 Boundary-Line support, new OpenStreetMap data, and, crucially for this time of year, Santa’s new postcode (yes, it’s changed, apparently). The latest version of our transcript-publishing software, 1.3, adds mainstream support for import from fellow component PopIt (or any Popolo data source). That’s key to making it a truly interoperable Poplus Component. SayIt is now also available in Spanish. Additionally, there are improvements around Speakers and Sections, plus this release includes OpenGraph data. Many thanks to James of Open North, who contributed improvements to our Akoma Ntoso import. Our software for storing, publishing and sharing lists of politicians now has multi-language support in the web-based editing interface as well at the API level. We’ve also recently added API support for merging the records of two people, and the API can now be used over SSL/TLS. Full details are on the Poplus mailing list. Release 0.20 of our Freedom of Information platform sees improvements both to the Admin interface and to the front-end user experience. Administrators will be pleased to find easier ways to deal with spammy requests for new authorities, and manage the categories and headings that are used to distinguish different types of authority; users should enjoy a smoother path to making a new request. Full details can be seen here. Version 1.5 of the FixMyStreet platform fully supports the new Long Term Support (LTS) version of Ubuntu, Trusty Tahr 14.04. Four new languages – Albanian, Bulgarian, Hebrew, and Ukranian – have been added. There are also some improvements across both admin and the front-end design, and a couple of bugs have been fixed. Whatever mySociety or Poplus software you’re deploying, we hope these improvements make life easier. Please do stay in touch – your feedback is always useful, whether it’s via the Poplus mailing list (MapIt, PopIt, SayIt), the FixMyStreet community or the Alaveteli community. Over the last few days, we’ve looked at various ways to use SayIt. This is the final post in the series for now, and it’s highlighting a feature rather than pointing out a use. SayIt is still in active development – that’s to say, we’re working on it and adding new features all the time. One of the significant features that recently went live is that SayIt sites can now have more than one editor. If you’re minuting meetings, you can get others to share the burden of recording, proofing and editing. If you are collecting together statements about a wide topic, or expect your project to run over some length of time, you can call in people to help. If you’re running a campaign, you can ask your supporters to help you crowd-source relevant material. If you are part of an oral history archive, or similar community project, you can share access with others in your group. …and we’re sure that there are many other uses too. You’ll need a SayIt site. If you haven’t started your SayIt site yet, just go to this page to start one up. If you’ve got one already, log in. Then invite your collaborators. Just click on the ‘invite friends to help’ button. Put in the email address of a friend or colleague. We’ll send them an invitation to help add and edit speeches and sections. Repeat as required. You can invite as many people as you like. 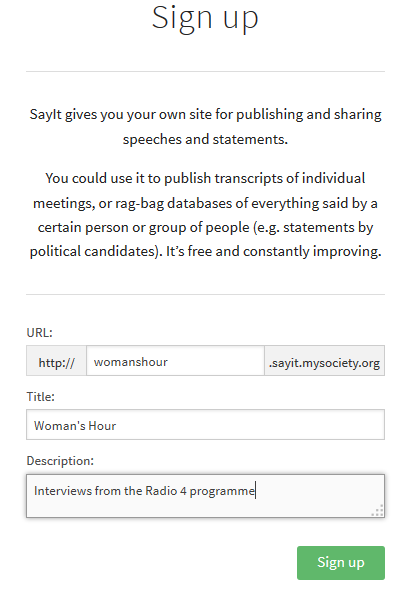 Our free, open source software SayIt is primarily designed for making and publishing transcripts of meetings – but it can also be very useful for anyone who needs to store interviews or other collections of the spoken word. 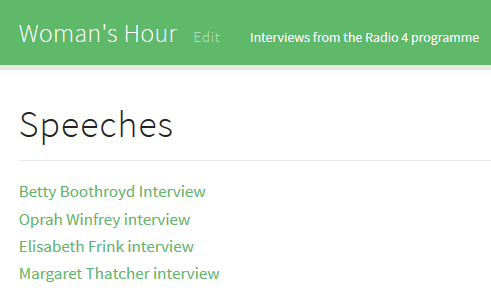 When interviews are stored in SayIt, not only are they accessible in an easy, attractive format – but you can also search, browse by speaker or chronologically, and share snippets with colleagues or peers. We can see SayIt being of use to oral historians, researchers, people who conduct focus groups – and doubtless there are many more potential uses too. In this post, I am going to walk through the process of setting up your own SayIt site, and publishing some interviews. I haven’t got any interviews I’ve conducted recently, but I have got a book of interviews right here, so I’ll use that as an example. Note that this is copyrighted material, which I am using purely for the sake of an example. In these small quantities, that’s fine, but of course we recommend that you only use your own material, or content that is in the public domain. If you’d like to follow along, you’ll need a transcript of one or more interviews. It should take less than half an hour to get started, and fully understand how SayIt can help you. Begin by going to this page. A portion of the URL (web address) – choose a word or phrase that relates to your topic: it needs to be lower case and without spaces or irregular characters (ie, just letters and numbers). Unfortunately for the grammatically correct, this means my chosen ‘womanshour’ can’t have an apostrophe! A title – keep it short; this will go on the top bar of every page of your site. A description – again, not too long; this will sit next to the title on every page. Don’t worry too much about the title and description, though: you can go back and edit them at any time in the future. In part 2 of the sign-up process, input an email address, choose a username and pick a password. We’ll send an automated message to your email which you click to confirm your account. Or, if you have a Twitter account, you can link your SayIt account to that, avoiding the confirmation step. You’ll only have to go through this sign-up phase one time: once you have an account, you can start any number of new SayIt sites without signing up again. Click on any of the screenshots if you’d like to see them bigger. We’re going to add interviews a statement at a time. For the purposes of inputting interviews into SayIt, we regard a ‘statement’ as each turn someone takes in speaking. Type or copy and paste the first statement into the ‘text’ box. Then fill in as many details as are appropriate in the surrounding fields. SayIt uses this information to arrange your interviews in a useful way, as you’ll see later. Section: You might use this to allocate specific interviews or sessions. Sections are particularly useful if you are transcribing interviews, in ways that you’ll see shortly. Source URL: For this type of usage, you probably don’t need this – it is useful when your material comes from a website. Date and time: You can input a date if you don’t know the time, and vice-versa. Or, if you don’t know the time, leave this blank and SayIt will organise your statements in the order you input them. Event and location: If these details are of importance, add them. Title and tags: This allows you to add descriptive words to your statements which may help you find all statements on a certain theme, for example. All fields are optional, and you can go back and edit them later if you want to. When you’ve finished, click ‘Save speech’. Then click on ‘add another speech’ and paste in the next statement in your interview. If you’ve filled in the ‘section’ field, SayIt will start doing clever things: arranging all your statements within their own section, and predicting the speaker and date fields so you don’t have to input that information for every statement (you can overwrite these if SayIt makes a wrong assumption, though). – and what’s more, I can search just this person’s statements, or the whole of my SayIt site. For big projects, it makes sense to collaborate! Click on the button marked ‘invite some friends to help you’ on the speech input page, and you’ll be able to send emails that invite your associates to log in and join you. In this walk-through, we’ve looked at how to manually import your interviews, on a site that is hosted by us. More advanced users may wish to look at bulk imports, and/or hosting their own SayIt site. Both will soon be possible – get in touch if you’d like to know more. I hope I have demonstrated how useful SayIt can be for storing interviews. Please do let us know if you have a go. We’d love to find out what projects it’s being used for – and your suggestions for new features will be very useful in helping us decide priorities for development. In yesterday’s blog post we talked about using our free, Open Source software, SayIt, to create collections of statements, like our collections of Party speeches. That’s one use of SayIt – but we actually built it with a slightly different aim in mind: the storing and publication of transcripts. SayIt really does transform transcripts – so, if you regularly take minutes of meetings at work, or in another capacity, it’s worth a look. That’s easy for us to say, we know. But if you play with it for half an hour, we think you’ll see the benefits. Traditionally, transcripts of meetings are published as PDFs or Microsoft Word documents. The information is there; you’ve done your duty in making it available – but do you ever wonder if it’s really working for your readers? For example, let’s say you are a clerk in the local council, and you routinely publish transcripts from council meetings online. The chances are that residents access your transcripts when they have an interest in one specific topic. Typically your meetings cover many subjects, and readers have to wade through pages to find the part they want. On SayIt, searching is very easy, even for people who are not very familiar with internet technology. Or suppose that you are a member of a pressure group, and you’ve transcribed a local community meeting to share on your website. You might want to highlight particular parts of the meeting. 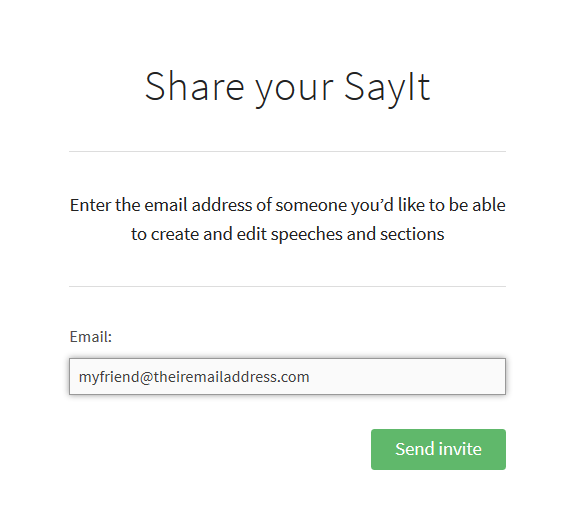 With SayIt, you can link to individual statements, so it’s simple to share them by email, social media, or on your website. Go to this page and sign up. 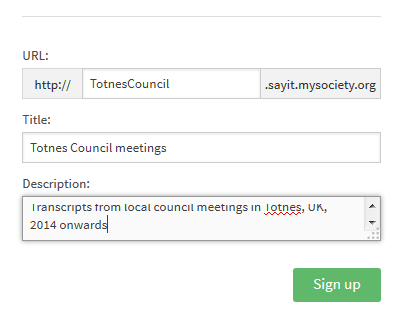 Part of the URL (web address) for your site – for example, if you choose “TotnesCouncil”, your new URL will be http://TotnesCouncil.sayit.mysociety.org. Note that URLs can’t contain spaces or non-regular characters. A title: this will appear in the top bar of your website. Don’t sweat too much: you can always change this later. In this example we might choose “Totnes Council meetings”. A description (optional): this is a good place to explain the purpose of your site at a little more length. You might write something like “Transcripts from local council meetings in Totnes, UK, 2014 onwards”. Again, you will have the chance to change this later if you like. If this is the first time you have used SayIt, you will need to input your email address, then go to your email and find our automated message so you can click on the confirmation link. Keep a note of your password, as you will need it whenever you want to edit your site. SayIt is currently in Beta – that’s to say, it’s functional and live, but we’re still developing it. In this phase, you can manually type (or copy and paste) each statement of your transcript in. Soon, it will also be possible to import a document of the entire meeting, as long as it’s in the required format – if you have a lot of existing transcripts and you’d like to try this, get in touch and we may be able to help. In this post, we’ll look at the manual input of speeches. You will need either a copy of your transcript, or a recording of the meeting you wish to transcribe. 1. Click on the ‘add your first statement’ button. 2. You can paste, or type, your content directly into the box marked “text”. Date and time If you know these, they are useful because they will help SayIt to order your speeches chronologically. Don’t worry if you don’t know them, though – SayIt automatically arranges speeches in the order that you input them, unless the timestamps tell it otherwise. Event and location What sort of meeting was it, and where did it happen? For our example, we might input “Totnes Town Council Meeting” and “Guildhall, Totnes”. Speaker Enter a name, and then click on the underlined text to add it to your database. As with all text fields on SayIt, once you have added it, it will be offered as an auto-fill option for subsequent speeches. Attaching names to your speeches also means that SayIt can do clever things, like display everything said by one speaker. If you are not sure who spoke, don’t worry – you can leave this field blank, or enter a name such as ‘Unknown’. Section Meetings often have distinct sections: an introductory period, apologies for absences, following up on agreed actions, etc. Or you might use Section to identify items on the agenda. If you use the Section field, SayIt will automatically arrange your transcript into groups of associated content. Source URL If you are taking speeches from a source such as a news report or another website, you can add the web address so that interested people can see it in context. Title and tags: These enable you to tag your content – for example, you might want to tag everything to do with road-building, and everything to do with tourism, et cetera. That means that your readers will be able to find the sections of the content they are most interested in. 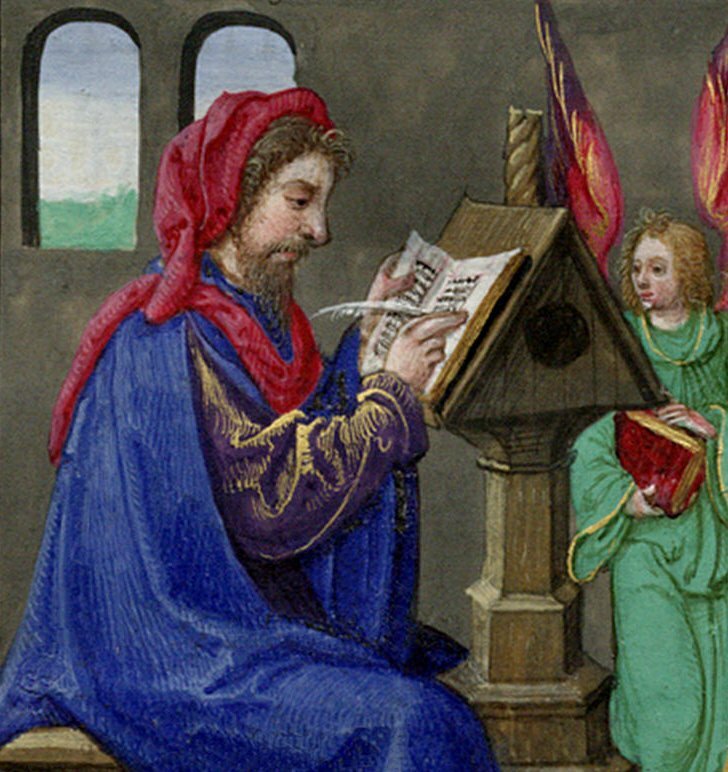 When you’ve added everything you want to for this part of speech, click “Save speech”. Well done! You’ve just added your first speech to SayIt. You can go back and edit it at any time – and that applies to every field. As you do so, SayIt will be making connections and organising things neatly. Tip: If you click ‘add another speech like this’ then fields such as ‘event and location’ will automatically be filled for you – you can overwrite them if they are incorrect for your next speech. So there you are, now you’ve seen what SayIt can do – we hope you liked it enough to consider using it in the future. Remember, it’s completely free. Let us know if you hit any problems, or if there are features you’d like us to add. SayIt is in active development at the moment, so your feedback will help shape it. We’d also love to hear if you are using it. Manual inputting is clearly only practical for shorter meetings (or people who have plenty of time on their hands!). As mentioned above, we’ll be adding the ability to import your transcripts. They will need to be in the format that SayIt accepts, which is Akoma Ntoso, a schema for Parliamentary document types – you can read more about that here. If you already have documents in Akoma Ntoso, get in touch and we can get them imported for you. You can host SayIt on your own servers, but for beginner users it’s quicker and easier to start by creating a version that we host, as described in the steps above. If you decide later on that you want to host the content yourself, and perhaps embed it on your own website, that option will remain open to you. SayIt is a Poplus Component – open-source software that is designed to underpin digital democracy projects. It can stand alone, or work with other Poplus Components. The source code is also available for developers to modify and improve, so if you are already imagining more ambitious ways that you might use SayIt on your website, let us know. – Using SayIt to make collections of statements. When we developed SayIt, we envisioned it primarily as a tool for publishing transcripts of meetings, but there’s another way you can use it, too: to create a collection of statements. Our recent publication of Labour and Conservative party speeches is a good example of this kind of use. Each speech is published as an isolated item – not as part of a chronological conversation – but SayIt still gives you benefits such as being able to see and search within everything said by a specific speaker. We hope that the Labour and Conservative SayIts might encourage others to set up similar projects. You could, of course, just as easily publish everything said by Liberal Democrats, the Green Party, UKIP, et cetera (do let us know if you’d like to do this, and we can help you). There are other potential uses too, as we’ll see below. In this post, we’ll be looking at how to set up this kind of SayIt instance. 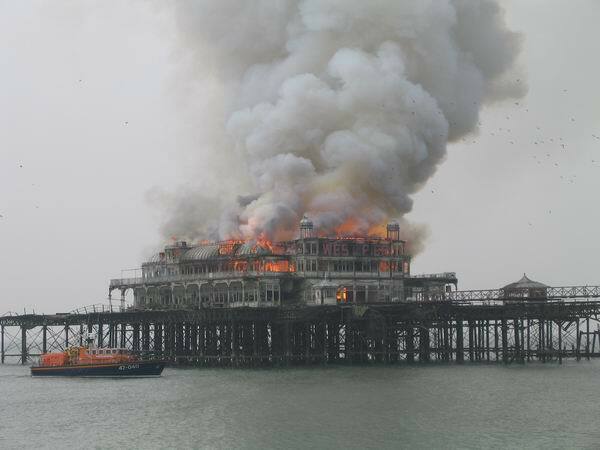 For me, a Brighton resident, the West Pier makes a great subject: it’s a long-time political hot potato here in Brighton, surrounded by rumour and controversy. Plenty of different public figures have made plenty of statements about it, over a period of many years. Why use SayIt this way? Those statements can all be found quite easily on the web, but by gathering them together, you get quite a different picture from the one you get if you are hopping from one source to another. Reading news stories is one thing; a collection of direct quotes from key figures is much more immediate, and gives an accessible snapshot of all views around the issue. Also, once your statements are in place, SayIt organises them neatly so that they can be viewed by speaker, read chronologically, or searched for any keyword. You have to see it in action to really understand the benefits, so why not give it a go? Convinced? 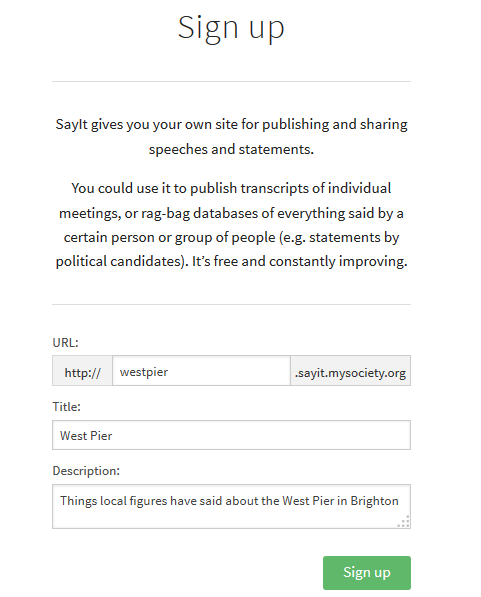 In this post, I’m going to walk through the process of creating the West Pier SayIt – follow along, and you’ll see how to make a SayIt on your own chosen subject. It’ll take less than half an hour. A portion of the URL (web address) – choose a word or phrase that relates to your topic, and it’ll help search engines find it. This needs to be lower case and without spaces or irregular characters (ie, just letters and numbers). 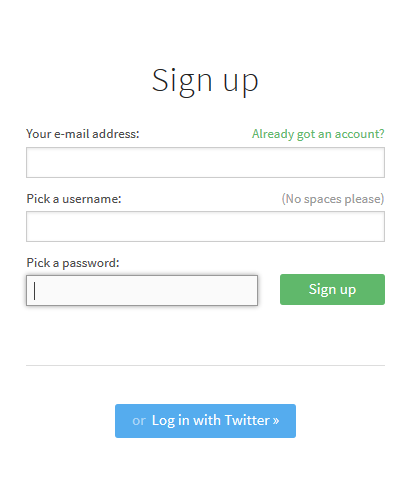 In part 2 of the sign-up process, you need to input an email address, choose a username and pick a password. We’ll send an automated message to your email which you click to confirm your account. Now you can start assembling your collection. Click on the big green button marked “Add your first statement”. Here’s my first statement about the West Pier, found after a quick Google, and copied and pasted into the SayIt interface. Speaker: Who made this statement? Type in the name and then click the blue underlined text to add it to your database. Section: This field is useful when you are transcribing a meeting: you can use it to indicate different agenda items. But, for this ‘scrapbook’ type of usage, you might group together certain statements: for example, are they fact or conjecture? Official or off the record? Source: Put in the URL where you found the statement, and then your readers will be able to click through to see it in its original context. Date and time: You don’t have to have both, but filling in this field means that SayIt will automatically arrange your statements in a chronological order. Event and location: Here you can note the type, and place of the event: was it at a meeting in the town hall? A press conference at the council offices? Title and tags: Filling in this field helps people who are interested in specific topics to find the statements they are really interested in. I might tag this statement with words like ‘arson’ or ‘policy’. Like almost everything else in SayIt, all these fields – including the statement itself – can be edited in the future. And, once you’ve input a name or date or URL, it’ll be suggested for all future fields, as soon as you’ve typed two characters that match. Click ‘save speech’ and you’ll see a green button inviting you to add another speech – you can go on doing so for as long as you like. Once you’ve added a few statements, you might like to click around – try ‘speakers’, ‘speeches’, and the homepage of your site to see what SayIt is doing to your data. You can add more detail to each speaker, as well. Click on the ‘edit speaker’ button, top right. There are a number of options here, some of which may be useful to you, depending on the context of your project. For example, if you are collecting historic statements, you may wish to include birth and death dates for each speaker. If your speakers are politicians, it may be useful to add details of their posts and the dates they held them. In many cases, you may like to add the short or longer biographical statement. And, if you’re not a fan of the Cluedo-like avatars that SayIt automatically allocates each speaker, you may like to add a headshot for yours. I added a couple of logos. Note that, at the moment, SayIt just asks for a link to an image that’s already on the web. Take care, though: any image you add to the site should belong to you, or be freely available under a licence like Creative Commons. 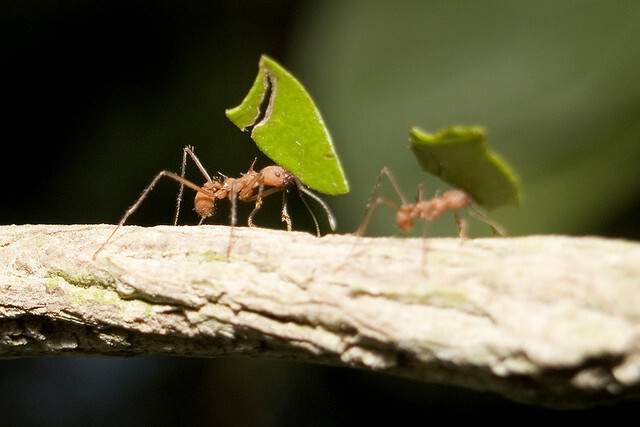 For big topics, it makes sense to collaborate! Click on the button marked ‘invite some friends to help you’ on the speech input page, and you’ll be able to send emails that invite your associates to log in and join you. I hope I have demonstrated how useful SayIt can be for this sort of collection. Please do let us know if you have a go. We’d love to find out what projects it’s being used for – and your suggestions for new features will be very useful in helping us decide priorities for development. Party Conference season is upon us again, and, with it, a new set of fine promises and rhetorical flourishes, as each party’s top dogs take the podium. But what happens to those pledges, vows and forecasts once the banners are taken down and the party faithful turn for home? Cast your mind back to November 2013, and you may recall that there was bit of a fuss about the fact that the Conservative party had removed old speeches from their website. Not just that, but they’d also effectively erased them from the places where you can commonly find retired internet content… unless you really know where to look. Was it a sinister rewriting of history, or a simple spring clean of elderly content? Well, that depends who you believe – but here at mySociety, we do think that you should be able to hold political parties to account for promises they made in the past. Not only that, but we happen to have a splendid tool for publishing the spoken word: SayIt. So we thought we’d track down that missing content and put it online for anyone to search and browse. And because we are a wholly non-partisan organisation, we did the same for Labour. Take a look at that content: Conservative speeches and Labour speeches – and do let us know if you find anything particularly interesting! Note: we’re not intending to update these collections regularly – it’s a one-off initiative, designed to fill a gap in the public archive. 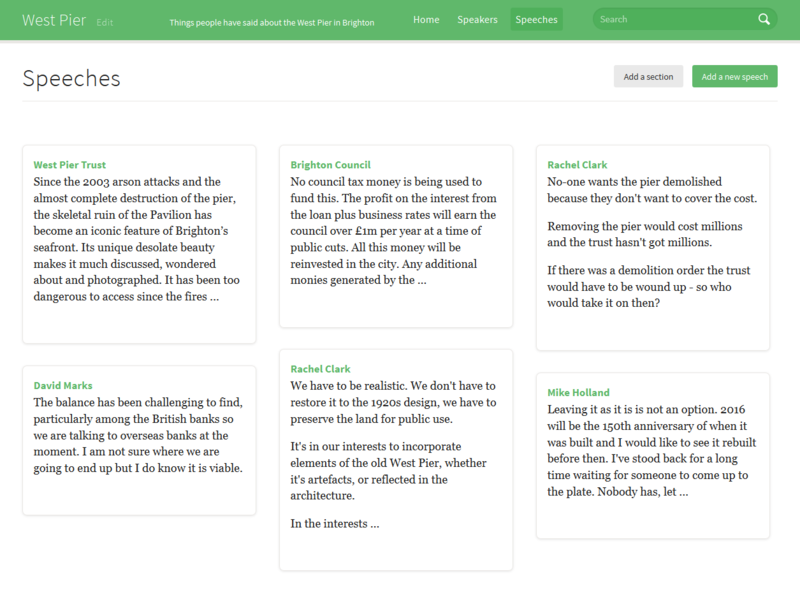 And within the confines of this project, we’ve only published Labour and Conservative speeches. On the other hand, if you’re interested in setting up similar sites for the other parties, or even taking over these ones, SayIt is very simple for anyone to use: just get in touch. Back in January, we introduced SayIt, our new software for the publication of transcripts. To show what it could do, we launched with a few demos. Today we’re launching a couple more demos using data from the United States, as a way of saying ‘hello!’ to American groups and individuals who might want to use modern transcripts for their own purposes. Decisions affecting your house, your street or your job are often made in city government meetings. But who can be bothered to sit through hours of irrelevant waffle? Why can’t you just look for the things that matter to you? 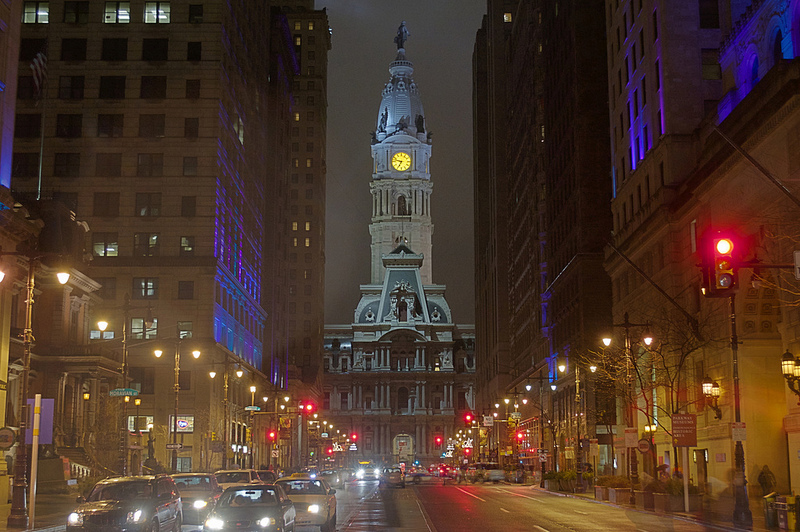 To show a better way, we’ve published a searchable, shareable version of Philadelphia’s City Council meetings available for use. It’s just a deployment of SayIt, filled with screen-scraped data. You don’t have to live in this city to find some of what’s talked about interesting. Some issues are international, and it’s interesting to see how e-cigarettes are also a concern for Philadelphia. There are also issues which, we suspect, are not common to all city governments. ‘Giant tomato cannon‘ is one of them. We’re keen to demonstrate that SayIt isn’t just about what politicians say. Often unelected people say very important things too. Few discussions are more important to the way the world runs than the meetings of the Federal Reserve. The Fed publishes these with a five year delay, which means that what’s coming out now is all about the financial crisis in 2008. What exactly was said? Now that we’ve put the Federal Reserve Open Market transcripts from 2002 to 2008 online, you can find out far more easily than before. Browsing and searching these transcripts can be fascinating. At what point did the Committee first perceive there to be a crisis? And what kind of data indicates a recession? Do financial experts use loose terms like ‘gazillion’? Apparently so. How many times is the word ‘subprime’ used? Lots. Also, with SayIt you can search through the speeches of just one person. Want to know whether Ben Bernanke used certain terms? Have at it. As with other SayIt instances, these transcripts were previously available online, but spread across a huge number of old fashioned PDFs. For the first time, SayIt makes them easy to browse, search or link to. 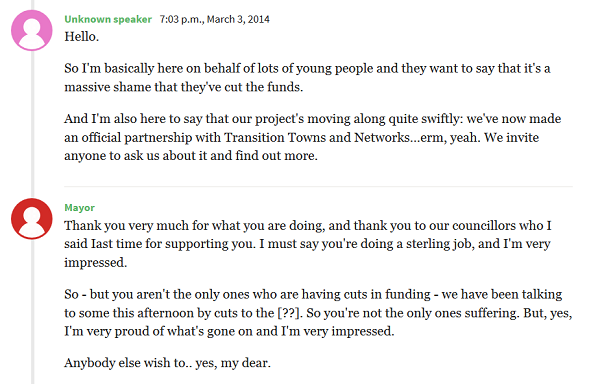 Want to see more transcripts up there? We’re looking to find one or more groups in the US who would be interested to use SayIt to help make citizens more powerful, in one way or another. 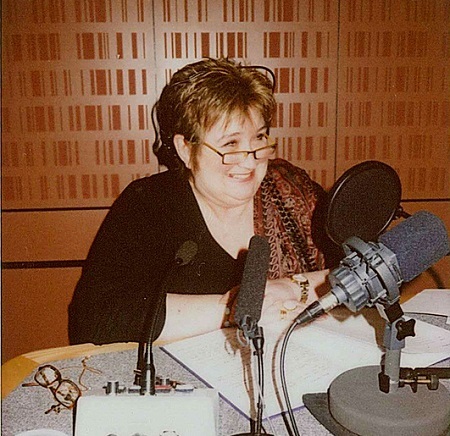 We’re looking for people who think that access to certain kinds transcripts would really make a difference, and we’re not snobbish about whether it’s a really big issue or a really small one. If these two examples have given you ideas for transcripts you’d like to publish with SayIt, do get in touch. Comments Off on What is Akoma Ntoso? At the beginning of this year we launched SayIt, our software for bringing transcript publication into the internet age. In that post, we briefly mentioned that “we use a cut-down version of the Akoma Ntoso open standard for data import”. Well, that’s easy enough to say, but what does it actually mean? In a nutshell, if you want to upload transcripts to SayIt, they need to be in a format that SayIt can recognise. 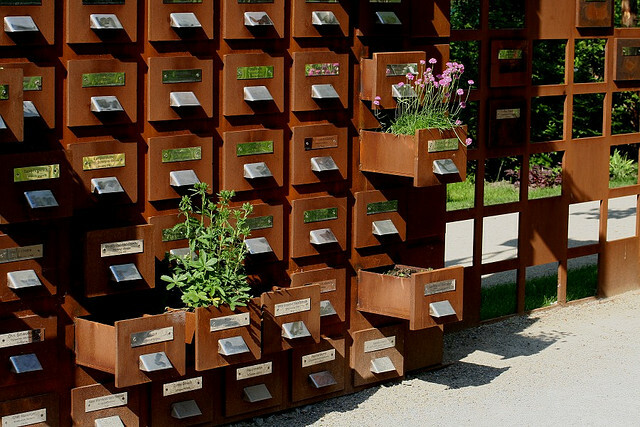 It can then transform them into the linked pages that make SayIt so useful. Akoma Ntoso is a simple way of showing (for example) which bits of the data are names, which are speeches, etc. – and how they all relate to one another. At first glance, it’s not all that different from HTML, the basic language behind many websites. But there are some differences. There are also some interesting ideas behind it, from how it began and where it got its name, to why the world needs another open standard. And what is an open standard, anyway? We pinned down Flavio Zeni, one of the people behind Akoma Ntoso’s creation, and he very patiently answered all our questions, even the most basic ones. And then, because it seemed silly not to, we put the whole conversation into SayIt. You can read it here. 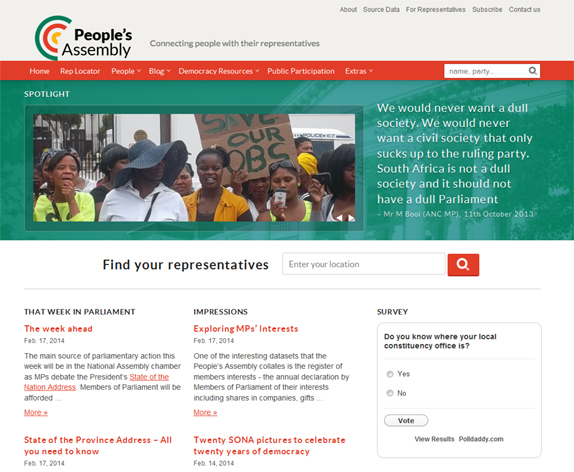 There was some excitement here at mySociety this week, as the People’s Assembly website launched in South Africa. It’s the result of a year’s partnership with PMG and a good test of some of our newest collaborative software. The site contains a vast amount of information, all available in the same place for the first time, and offering a simple way for South African citizens to keep an eye on what their representatives are doing. There are pages for each representative, Hansard and parliamentary Questions and Answers, records of members’ interests, and more. Locating, processing and displaying this data was quite a challenge: it has been taken from a wide range of sources, and came in an even greater range of formats, including PDF documents, Word documents, Excel files, CSV files and sometimes just e-mailed lists of information. But perhaps most significant is the site’s Representative Locator function. For the first time, South African citizens can now find out, with ease, who represents them – not as simple as it might seem at first. The Proportional Representative system means that members of the National Assembly and National Council of Provinces are not directly elected from constituencies. Political parties are, however, funded to run constituency offices and to allocate representatives to those offices. We believe that this is the first time this data has been consolidated and presented as a simple search tool. As you’ll know if you read our recent blog post about SayIt, our recent focus has been reaching out to provide software for civic or democratic-focused websites anywhere in the world. The idea is that such groups no longer need worry about writing code from scratch, since we’ve already done it – and their energies can be better expended on gathering data or adjusting the software to work within the local governmental systems. Firstly, the Pombola platform, our software for running parliamentary monitoring websites. If you’re reading this in the UK, you may be familiar with our own parliamentary monitoring site, TheyWorkForYou. Pombola provides several tools that make it easy to do much of what TheyWorkForYou does: it provides a structured database of the names and positions of those in power; it allows people to look up their elected representatives by inputting their location, and to isolate and see what a specific MP has contributed to discussions in Parliament’s committees and plenaries; albeit, in the case of Hansard, after a six-month delay necessitated by South Africa’s own protocols. We first developed Pombola for Kenya’s Mzalendo.com, and it’s been re-used for ShineYourEye.org in Nigeria and Odekro.org in Ghana. It’s superb to see this re-use, as it’s exactly what we set out to acheive. Secondly, People’s Assembly is the very first site to use SayIt, which is embedded as a Django app to power the Hansard, Questions and Committees content. SayIt is one of our Components, built under the Poplus project, and we’re truly delighted to see it in place, proving its worth and being used as we first envisaged. The main work on the People’s Assembly has been funded by the Indigo Trust, and the SayIt component work was funded by Google.org as part of the Poplus Project. We also wish to thank Geoff Kilpin, who helped greatly with the scrapers and templating.